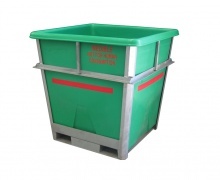 Plastic Offal & Pet Food BINS - food & industrial use. Plastic rotatable bulk bins - FDA approval for pet food processing, fish & meat, by products, tanneries skins, pelts, hides & industrial waste. 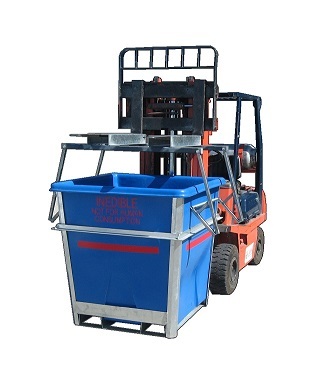 Endures forklift punishment and rough treatment with load bearing top rim. Double stacking, Nesting & fork rotatable. Composite galvanized steel and plastic rotatable bins - endures forklift punishment. Plast-ax is one of New Zealand’s most advanced plastic manufacturing and moulding businesses which uses unique techniques and procedures to provide large containment solutions in plastic bins & box pallets over a wide range of industry sectors.